The Dawson Lake Dash is a 3.1 mile road race around the rolling hills of Dawson Lake in scenic Moraine View State Park in LeRoy, Illinois. All race proceeds will be donated to the Humane Society of Central Illinois. Online registration closes Friday, August 24. 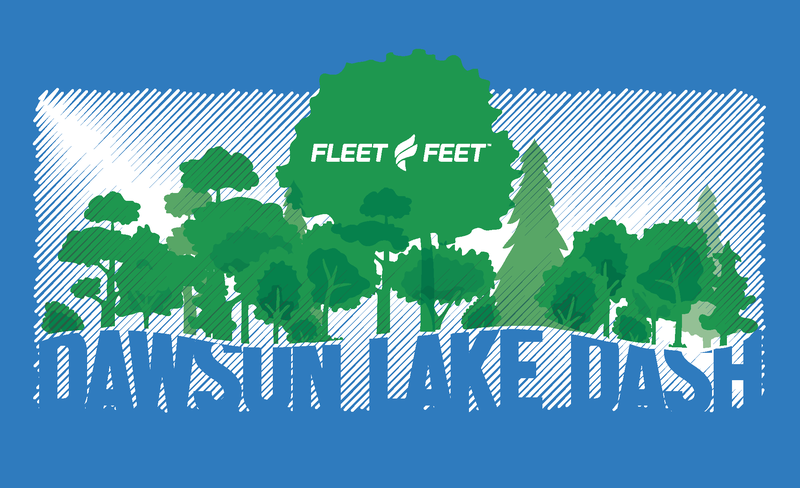 Registration (cash or check only) and packet pick-up is available at Fleet Feet Bloomington from 4pm - 6pm on Saturday, August 25 or from 7am - 8am at Moraine View before the race on Sunday. Course will be open to park traffic. All participants will receive a race shirt and goody bag while supplies last. Shirts are guaranteed to all participants registered by August 15. Please note that the entry fee paid is non-refundable and non-transferable. The Race Director may delay or cancel the event if the conditions on race day are unsafe. In the event of a cancellation no refunds of the entry fee or any other costs in connection with the event will be given. All proceeds (rain or shine) are donated to the Humane Society of Central Illinois.